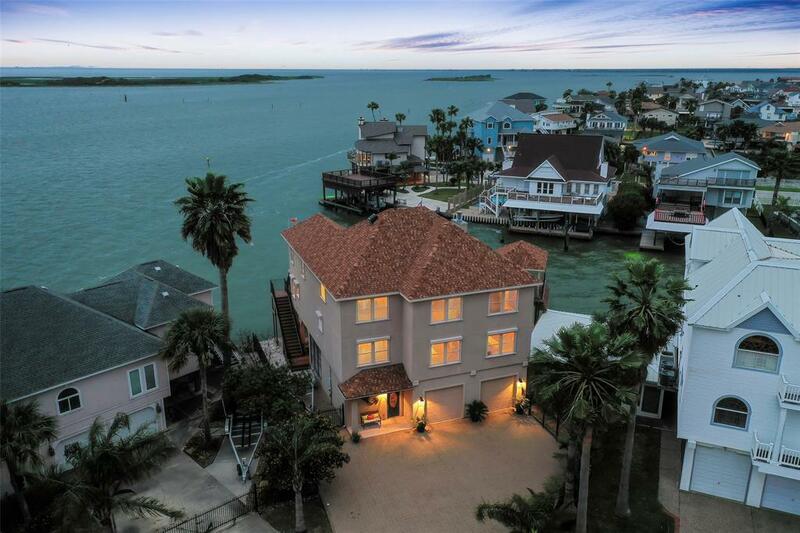 Open water views w/frontage on West Galveston Bay create a spectacular backdrop for this stunning Tiki Island home. 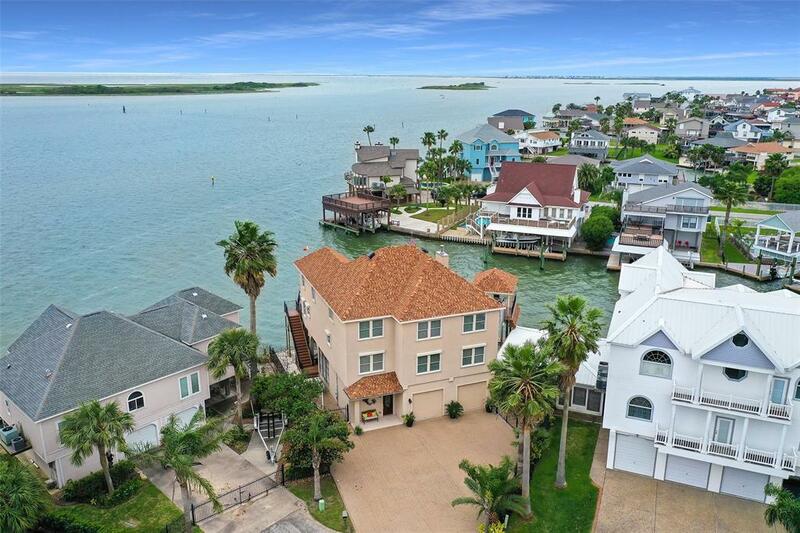 The 104-foot bulkhead offers 2 covered boat slips, plus a boat house. Outdoor living is at its best, with a large covered patio and deck downstairs, complete with wet bar. Relax at the end of the day in the hot tub. Upstairs is a durable deck that spans the entire width of the home. 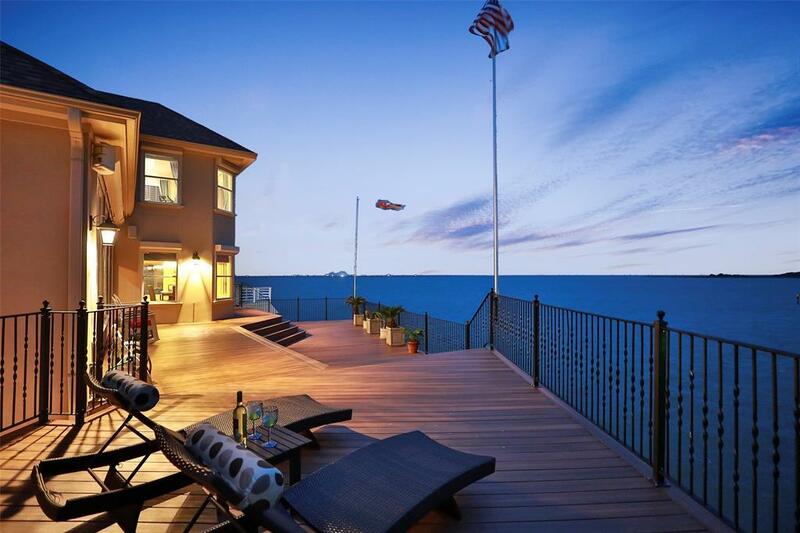 That's the perfect spot for watching boats on the water and sharing sunsets. A gazebo makes an ideal spot for outdoor dining. The interior is just as impressive as the outdoor amenities. The island kitchen w/large walk-in pantry features handsome granite counter tops and stainless steel appliances. 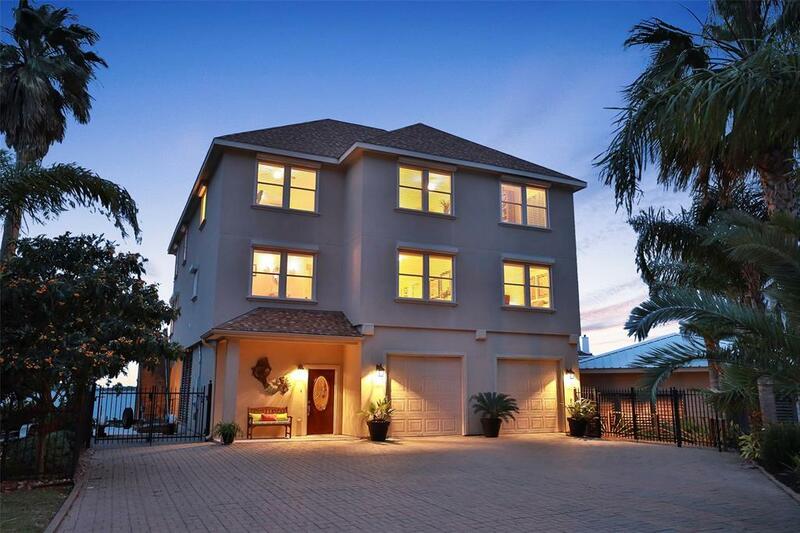 The kitchen is open to the breakfast room & 2 story family room, with wall to wall windows with the Bay view. Master suite shares the same panoramic view. Hurricane shutters & cargo elevator are great conveniences. Five spacious bedrooms. Fully furnished, as a gift to the new owners.